Kindergarten: 8:45 a.m. – 3:00 p.m.
First – Third Grade Hours: 8:30 a.m. – 3:30 p.m.
Fourth – Fifth Grade Hours: 8:00 a.m. – 3:00 p.m.
Middle School: 7:45 a.m. – 3:00 p.m. 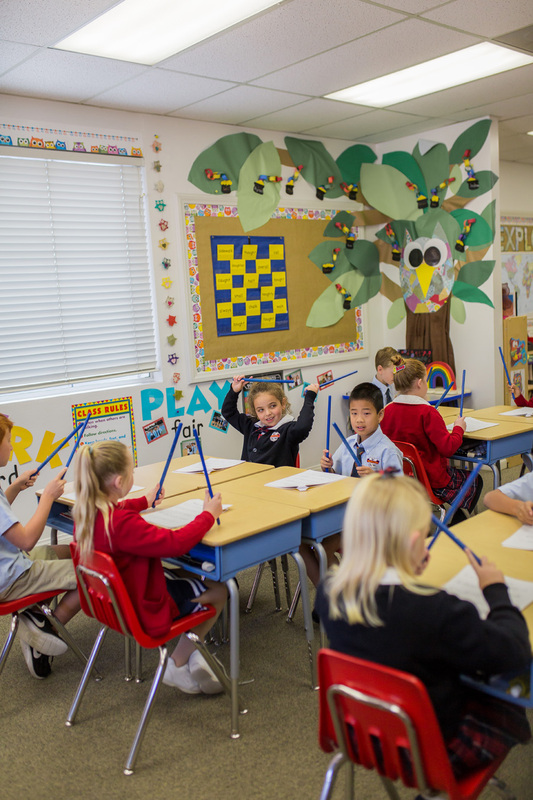 In the Lower School, students in first through fifth grades learn to think critically, solve problems, and use their imaginations creatively. Our team of dedicated, caring professionals has a passion for children and learning. Our classrooms are vibrant, joyful places where children are nurtured and challenged every day. Our goal is to engage our students in learning so that it is both exciting and memorable. We also ensure a healthy balance of freedom and discipline. In this way, Lower School students not only increase their understanding of the world and thoughtful problem solving, they also grow in developing a strong character. 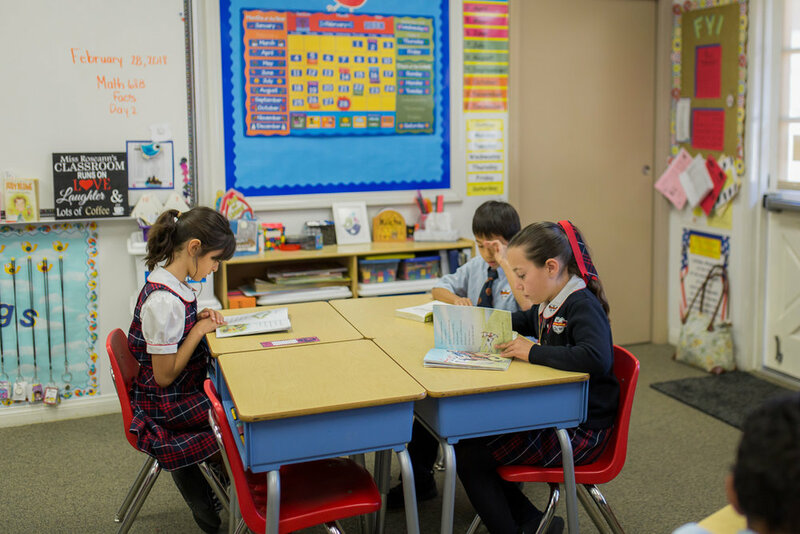 We believe that good character is the foundation for long-term success for each of our students. We are committed to helping each student discover their best self. Students enjoy daily reading, writing, math, social studies, science, and physical education instruction. Additional classes in Character Education, Music, Art Appreciation, Physical Education, Spanish and Garden Science are also enjoyed on a regular basis. Carefully selected field trips enrich classroom study units throughout the year, and all students participate in musical productions, plays, art shows, and field day. Students also have many opportunities to learn responsible citizenship as they help others in our community and world through service projects that are available to all. Come visit us. 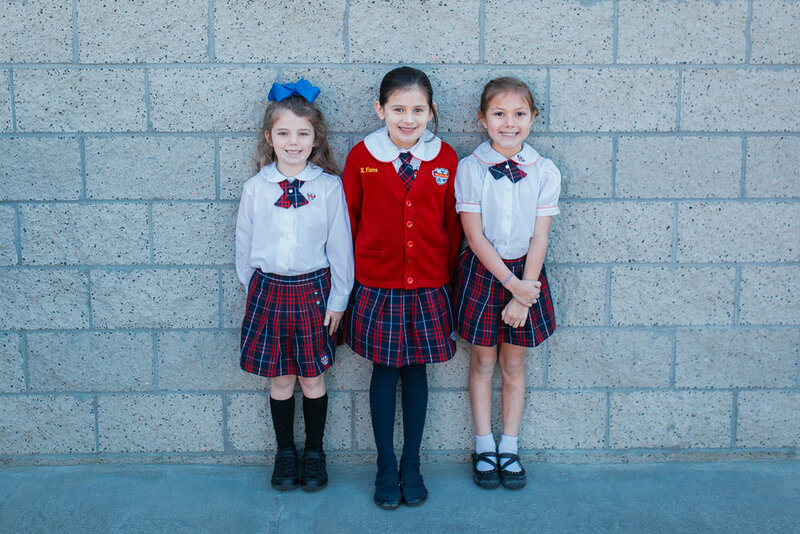 A walk through our campus and classrooms will give you a sense of why all of us who work here have such a delight and affection for Van Avery Prep. We enjoy a diverse student body and we consider all our families’ part of our “VAP Family.” This warm environment is an important part of our unique school culture.